This STEM activity allows students to discover and diagnose how to maximize the digestive process and ach... (more)ieve a healthy digestion with water absorption of 75% and a calorie absorption closest to 100% by feeding it different types of food. 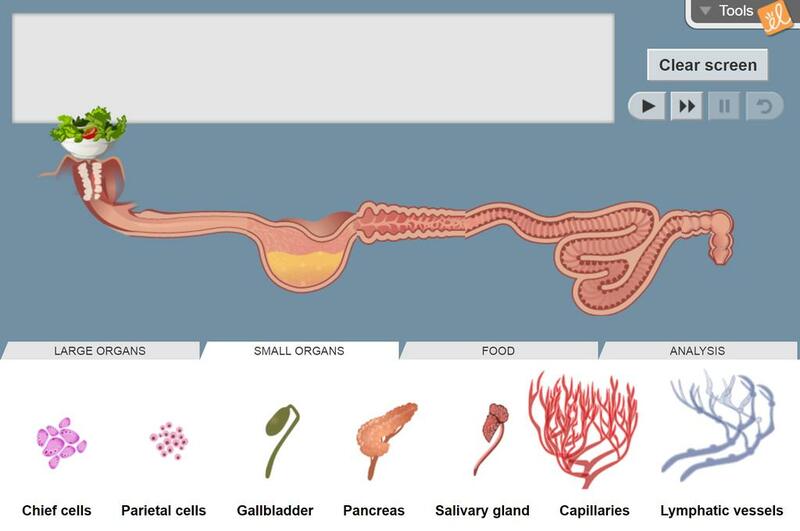 This CER worksheet allows students to deepen their understanding of the human digestive system by selecti... (more)ng two organs that they could live without. They state a claim and support it with evidence and reasoning. My anatomy students love this and learn so much! I was not expe cting this to be the greatest gizmo ever! Students enjoyed iscompletely! Students wanted to do this! Even struggling students said they wanted to do it at home! Great fun for my kids they loved it and they learned.